A lot of work boots claim to be "heavy-duty," but some of them really don't cut it. Luckily that isn't the case for the incredibly rugged Chippewa Men's 25203 Brown 6 Inch Waterproof Boots. With their tough-as-nails construction and waterproof uppers, these Chippew ... (see full details) (see specifications) #CHP25203. A lot of work boots claim to be "heavy-duty," but some of them really don't cut it. Luckily that isn't the case for the incredibly rugged Chippewa Men's 25203 Brown 6 Inch Waterproof Boots. With their tough-as-nails construction and waterproof uppers, these Chippewa boots have been built to take on everything the world has to offer. The long list of features starts with the 6-inch, heavy-duty, waterproof, oiled leather uppers and the solid Goodyear Welt sole construction. In a world of disposable products, these men's boots have been made to last. The studs and d-rings are non-tarnishing and the wax sta-tied lace locks are ready for heavy-duty use. Speaking of the laces, the waxed laces are designed to be long-lasting and stand up to all kinds of wear. The Chip-A-Tex waterproof membrane system in the USA-made boots prevents your feet from being exposed to the wet outdoors. The booties are breathable, letting air pass through the material while still keeping your feet dry. Everything in these brown boots is heavy-duty, right down to the comfort features. The cushioned collar and moisture-wicking Ruby Dri-Lex lining provide a comfortable and dry fit. The removable Texon 460 waterproof footbeds provide the support and comfort that every active working person needs on the job. The rugged, non-slip, non-marking Vibram Cascade yellow plug outsoles offer you with excellent traction and feel great underfoot. For warmth, 400 grams of 3M Thinsulate Ultra insulation surrounds your feet while still allowing them to breath. Similar to the Chip-A-Tex, the Thinsulate works hard to keep out moisture. On the job site, you can't settle for second best. Suit up with these Chippewa Men's 25203 Waterproof 6 Inch Insulated Brown Boots, and you'll get the durability, comfort, and reliability you expect from the best in the business. These are exactly what I expect from chippewa. Comfort, durable, and american made. No matter what the weather conditions I have to work in these chippewa boots keep my feet dry and comfortable. The tough, durable leather will give me years of wear. My only complaint is they are a little pricey but considering how long they will last it is worth it. I purchased these boots for my job on the railroad. I need something heavy duty, waterproof, and insulated for those cold winter nights. I've looked at many other brands and haven't been able to find what I need. I've owned them for about four months now. I beat them up every night and they still look as great as they did when I purchased them. I can tell the difference in quality immediately wearing theses my old boots did not cradle and support my feet like my Chippewas! Also, many other brands are no longer made in the USA. I'm not paying China over $200 for something that does not meet the quality of what you get from Chippewa. Love my boots. I will be sticking with this brand for a long time. Thanks to Working Person for your wide selection on all of my work needs. I highly recommend these boots for people with long days on their working feet. Worth the money. Never go back to Timberland pros again. I typically use snow boots for the bad weather, I got stuck at work in the snow last week and these boots kept me dry and warm for my 11 hour shift... Love these boots! The very best! Owned Red Wing and there is no comparison! These Chippewas make Red Wings feel like Timberlands. 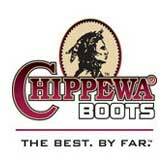 Chippewa better be smart enough to make ALL of their boots here in the great U.S.A and forget about all the foreign boots! Style 25203 is the best! I love these boots, wish they were an in stock item and not a special order and in the width I need. These are great boots for contractors they just need to be available year round and it multiple widths. I have to use inserts to compensate for the width discrepancy that was available, these are the best boots I have had as a contractor but availability of obtaining them is just not right, Chippewa would make money if they made them more available to the contractors!! These Chippewa boots have been on my mind for a long time, finally took the plunge and I am very happy I did. Very warm, nice feel to walk in, meaning you don't feel every step like some other brands. This is my 2nd pair aside from the logging boots.... really great buy, very pleased with the boots. Chippewa Boots: Men's Insulated Waterproof 25203 USA-Made Brown Leather Boots is being added to your cart.